Remembering back to when my sons were younger, they'd always love French toast for breakfast. It's one of the easiest breakfasts to make. I started craving this and thought why not have it for lunch. The following recipe will make 3 pieces. If you want to make more simply add more eggs and milk. Sorry but I forgot to measure the milk. It would be about as much as if you were making an omelette. In a medium size bowl whisk together the eggs, milk, and vanilla. Dip each piece of bread into the egg mixture. Flip the bread over to get the mixture on the other side. Place each piece in a large frying pan over medium high heat. Cook for approx 3 min and flip over to do the other side. Remove from frying pan and serve on a plate. 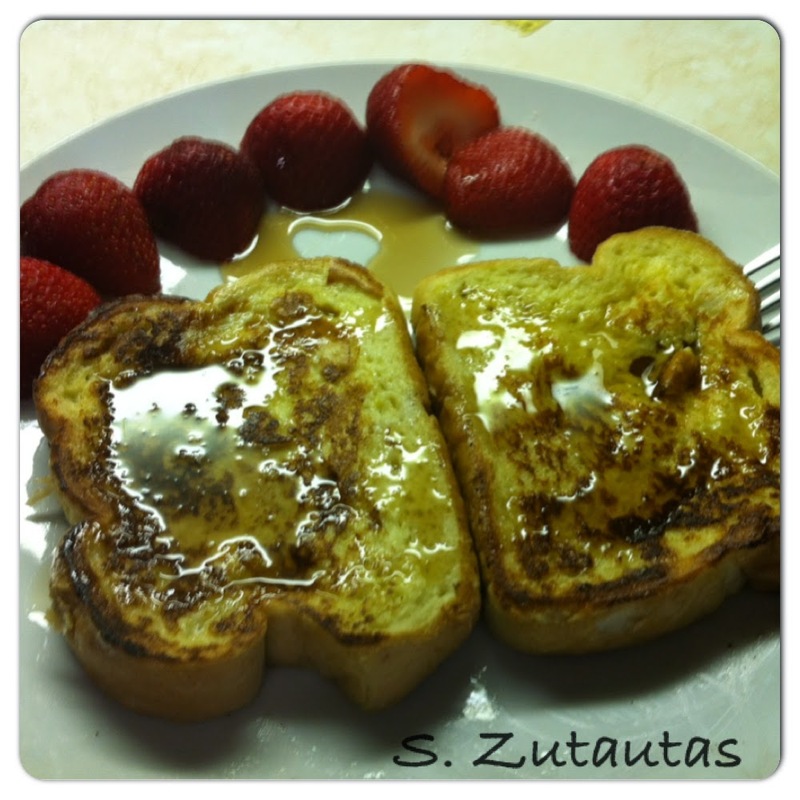 I used maple syrup and served with fresh strawberries.